COLLEGE STATION, Texas — Dr. Pamela Plotkin, Director of the Texas Sea Grant College Program at Texas A&M University, was recognized Thursday (June 5, 2014) by the Harte Research Institute for Gulf of Mexico Studies (HRI) for her work with endangered sea turtles on the Texas coast. Plotkin was named one of “Harte’s Heroes,” an honor bestowed annually by HRI to commemorate World Oceans Day. 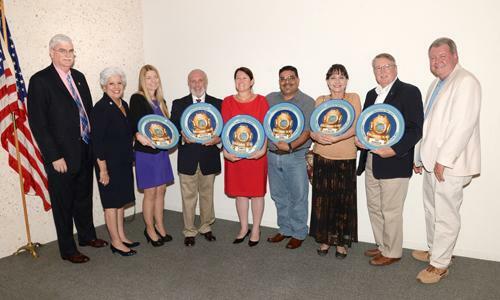 This year’s recipients were commended for their efforts to further the recovery of the critically endangered Kemp’s ridley sea turtle.